The large room benefits from a beautiful design with an airy and summery décor which allows a family to spend holidays under the same roof while ensuring privacy for parents and children. 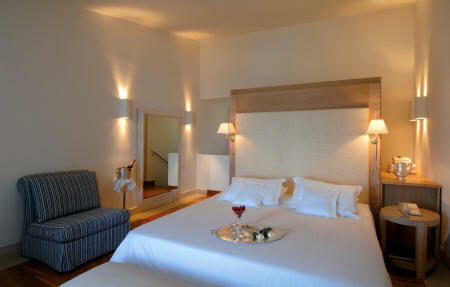 The Deluxe Room consists of two bedrooms with their marble lined bathrooms on two levels. The family can spend time together in the verandas or in the spacious terrace around a private pool that is heated during colder months. All staircases are children safe.